Blue Cross Broad Street Run | Blue Cross Broad Street Run - the Largest 10-Mile Road Race in the USA. 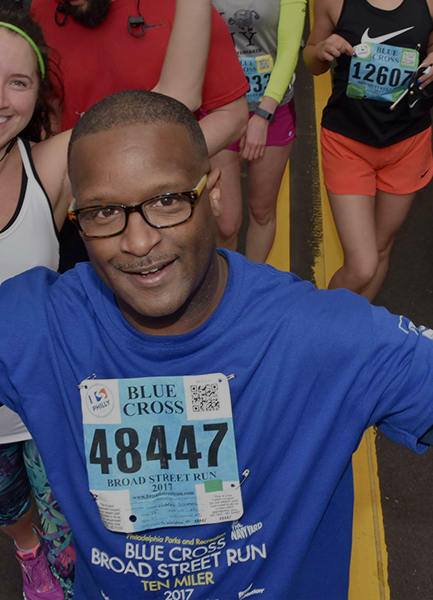 The Blue Cross Broad Street Run has been a proud Philadelphia tradition for nearly 40 years. On May 5, 2019, racers will run down the heart of Philadelphia, Broad Street, through diverse communities and neighborhoods, while excited spectators cheer from the sidelines. It’s the largest, fastest, and most popular 10-mile race in the country drawing more than 35,000 participants from all over the world. The event begins at 8:00 a.m.